The word reference is a noun. Reference means (1) the act of referring or consulting, (2) the most direct or specific meaning of a word or expression; the class of objects that an expression refers to, (3) the relation between a word or phrase and the object or idea it refers to, (4) a book to which you can refer for authoritative facts, (5) a formal recommendation by a former employer to a potential future employer describing the person's qualifications and dependability, (6) a remark that calls attention to something or someone, (7) an indicator that orients you generally, (8) a publication (or a passage from a publication) that is referred to. Reference is also a verb that means (1) refer to. The following articles and web pages elaborate on the word reference. Reference.com is a multi-source dictionary search service provided by Lexico Publishing Group. 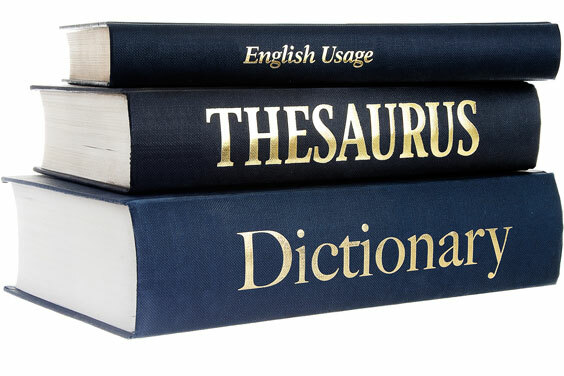 On it, users can search for words, use a thesaurus, use the encyclopedia, and other tools for free. There are also premium services such as audio pronunciation with the dictionary and word games. Citebase Search began in 2005 and is located at the University of Southampton in the UK. Citebase searches for citations in the fields of physics, math, information science, and biomedical articles published in the UK. Searches are by author, citation, or an identifier (keyword). The homepage cautions visitors that Citebase is in an experimental stage and not yet complete or authoritative. CSA recently joined with ProQuest, both worldwide information companies, to publish, in print and online, 100 full-text databases and journals in the natural sciences, social sciences, arts and humanities, and technology. Their products are used widely in academic libraries and other research organizations and are ordered on subscription. Each of the databases is fully described on the website. Find Articles, located in San Francisco, is a LookSmart product. Find Articles provides free access to millions of articles searchable by specific journal, author, or subject. The articles are from selected academic, industry, and general interest publications. Archives date back to 1984. Users can also find a list of all the publications covered on the website. Founded in 1998 in Great Britain, Ingenta now also has offices in the U.S. IngentaConnect is a collection of over 30,000 publications including more than 10,000 available online. Libraries and research organizations subscribe, and their clients can search for articles on any topic. For libraries, there are also ways of linking Ingenta data with the library's own online catalogs and resources. LexisNexis, a member of the Reed Elsevier Group, is a vast database of legal information and news. Lexis is the legal section; Nexis is the business news section. There is also a version for Academic settings that includes newspaper articles from small papers that are hard to find in other sources. The website describes both products and how to subscribe to each or both together. This is a handy and simple to use time zone converter. Users choose the place they are interested in and the converter instantly tells the time in that location and whether or not that zone uses daylight savings time. Other searches on this website are to a travel zone with listings of hotels in different cities around the world, world time, and a time zone list. Features a collection of online reference works, including a Columbia Encyclopedia edition as well as dictionaries, thesauri, and classic literature. Provides students, researchers, and intellectually curious individuals with access to books and reference information on the web. The following articles provide recent reference-related news. Fox News. Friday, 19 Apr 2019 14:58:41 GMT. Newsmax. Thursday, 18 Apr 2019 15:08:22 EDT. BBC News. Thursday, 18 Apr 2019 12:35:20 GMT. BBC News. Thursday, 18 Apr 2019 10:40:41 GMT. Radio Liberty. Wednesday, 17 Apr 2019 14:23:50 +0000. ABC News. Tuesday, 16 Apr 2019 11:34:58 -0400. CBC News. Saturday, 13 Apr 2019 17:52:39 EDT. Reuters. Friday, 12 Apr 2019 17:24:48 -0400. Co-op passes the financial test but what about its much vaunted values? James Moore. The Independent. Friday, 05 Apr 2019 10:30:00 +0000. The following digital image illustrates the word reference.